Div·bee ® [div-bee] –noun Registered trademark. Combination of the words Diversity and Zigbee. Modular tranceiver used for 802.15.4 network protocol communications, using dual (diversity) antenna connections. Manufactured by Xtreme Power Systems, L.L.C. • 802.15.4/Zigbee transceiver. • Tiny footprint of only .960” x .920”. • Pre-certified (FCC/IC/ETSI) module. • Ultra long range. • Dual u.fl connectors for antenna diversity. • -110dBm sensitivity (single antenna). • -108dBm sensitivity (dual antennas). • 12 position 2mm interface header. • 1.8v to 3.6v operating range. • .08µA current in standby mode. • 170mA max current (+21dBm). • Uses SPI interface (up to 4MHz) + 3 lines. • +/-10ppm clock output, programmable to 1MHz, 2MHz, 4MHz, 8MHz, or 16MHz. • CPU-less design allows the use of any microcontroller or CPU. The DivBee® module sets the standard for the next generation of 802.15.4/Zigbee compatible devices. With its impressive sensitivity and output power, courtesy of RFaxis’ innovative RFeIC technology, the performance is second to none. Dual u.fl connectors allow two antenna connections to provide spacial diversity, allowing a solid communications link even in the worst environmental conditions. The antennas can be continuously monitored while receiving, with the best signal automatically chosen. The DivBee® module is a hardware and software engineer’s dream. Using just a simple SPI port and 3 additional control lines, any microcontroller or CPU can be interfaced to the DivBee® module. The SPI port supports up to 4MHz transfer rates, making data access blazingly fast. 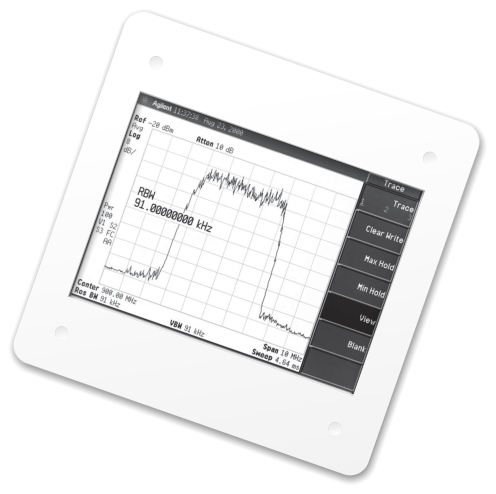 Software for Zigbee networking is readily available from a variety of microcontroller companies. Atmel, Microchip, Freescale, and other companies offer several free and commercial Zigbee stack options. Atmel’s AVR series microcontrollers can interface directly and take advantage of their low-level libraries. XPS provides complete source code, schematics, and interface information for Microchip and other microcontrollers. To save cost and further simplify the end product’s design, the DivBee® module has a highly accurate (+/-10 ppm) clock output that can provide the clock input to a microcontroller or CPU. The output clock frequency can be programmed as 1MHz, 2MHz, 4MHz, 8MHz, or 16MHz, with up to 8mA of drive current. With an opertional voltage of 1.8v to 3.6v, the DivBee® module can be powered by batteries. The DivBee® module is designed to be stacked on top of a microcontroller or CPU to conserve space. In many applications, Zigbee devices need to ‘sleep’ and consume as little power as possible. With the ability to shutdown the front-end chip completely, the DivBee® module has an amazingly low .08µA standby mode, making it ideal for battery powered applications. Output power can be adjusted from -19.2dBm to 21.1dBm, giving the DivBee® module the ability to conserve power when necessary, or blast through the noise. Having a pre-certified module means that your end product does not need to be re-certified. We have done all of the hard work for you! Design your end product, plug in the DivBee® module, and you are ready to go! Small size, yet big performance! With its size not much larger than a U.S. Dime, the DivBee® module’s tiny footprint easily fits in handheld devices, wall outlets, light switches, remote control units, and many other configurations where space is a concern. Most all Zigbee compatible end products have a microcontroller or CPU for many functions besides communicating with the Zigbee module. Having a microcontroller inside of a Zigbee module just to handle a Zigbee stack limits your end product’s performance, and its abilities. The CPU-less design of the DivBee® module allows flexibility in stack options and reduces the end product’s cost by using a single microcontroller or CPU to handle everything. 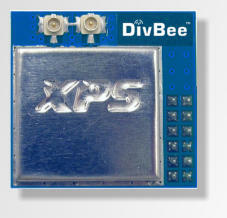 While other Zigbee modules typically interface to a microcontroller through a slow RS-232 interface, the DivBee® module uses a high speed SPI port with internal asyncronous buffering. Low cost, and high performance - this unbeatable combination make the DivBee® module the fastest and the most cost effective solution available!